Gorleston Recreation Ground in Gorleston-on-Sea near Great Yarmouth has a children's playground, skateboarding/BMX park and pitches used for football. From Great Yarmouth follow signs for Gorleston-on-Sea and East Norfolk Sixth Form College. 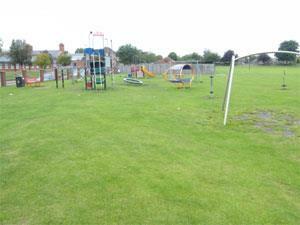 Gorleston Recreation Ground is located on Church Lane heading towards Gorleston-on-Sea town centre and directly opposite the college.